At The Pixel Project, our contribution to the global movement to end violence against women is as the voice of thousands joining together around the world. We combine technology, social media, the Arts, journalism and activism to draw attention to the many ways violence against women (VAW) affects the lives of all people in all communities all around the world. Our volunteer researchers, writers, interviewers and editors collaborate to highlight news stories of positive activism and new programmes developed through our bi-monthly e-news digest, highlighting activists through our Facebook page, sharing information and resources through our daily twitter help lines and by writing thoughtful and inspiring blog posts on our main website and our campaign micro-sites. This past year we have focused on a variety of topics from our Inspirational Interview monthly series on VAW activists, our wonderful 30 for 30 Father’s Day campaign interviews, our Paint it Purple campaign and our exciting Music for Pixels campaign. Our articles focus on the activities and programmes that people are doing around the world to end violence against women and girls. We have increased our collaborations with programmes and organizations around the world and engaged in conversations online through tweet-a-thons to spark conversations about VAW to break myths, reduce stigma and educate. One of our new forays into technology and activism this year is with our collaboration with P.F.O. Technologies and their iAMDefender smartphone safety app. Blogging is a vital part of our mission, which includes: raising awareness about VAW, generating conversation by giving people a safe space to talk about VAW, and inspiring activism. As our 16 best blog articles and series show, we succeeded in fulfilling our mission this year. We hope that the stories we shared motivate you to join the effort to end VAW. 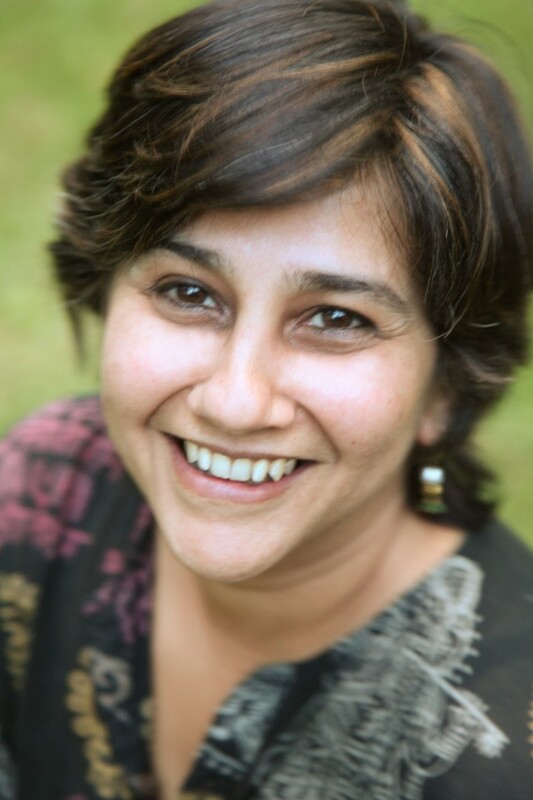 Our first Inspirational Interview of 2013 was with Vidya Sri, the founder of Gangashakti.org – a community advocacy organisation she developed to utilise the framework of her own forced marriage to raise awareness. Her mission is to engage a wide range of agencies, service providers, students and scholars on the poorly understood issue of forced marriage in the United States. This post celebrated celebrated non-commercial alternatives to celebrate the traditional day of love. Many of the suggestions focused on doing healthy things together to celebrate relationships and support the cause to end violence against women. If you are planning early for next year, check out 10 “Valentines Against Violence” as alternatives to the traditional “romantic” gifts. Mallika Dutt, Founder of Breakthrough. Blog Article Selection #3: Inspirational Interview: Mallika Dutt of Breakthrough and Bell Bajao (ring the bell) campaign. Another Inspirational Interview featured Mallika Dutt, the founder of the global human rights organisation, Breakthrough and the Bell Bajao campaigns. Mallika has mastered the art of blending multimedia campaigns, cutting-edge pop culture, social media and authentic community engagement to develop innovative campaigns and tools for teaching democracy and justice, and bring awareness to end violence and discrimination against women. The Pixel Project has continued to collaborate with Breakthrough through tweet-a-thons and other advocacy efforts to raise awareness of violence against women. As part of The Pixel Project’s partnership with Stop Street Harassment, we cross-post a Street Harassment story specially selected by Stop Street Harassment founder, Holly Kearl, on the second Tuesday of every month. Holly also contributes to our 16 for 16 days of Activism posts by selecting significant stories from their year of activism. While not a regular feature of our blog, we do receive submissions from survivors on their stories of recovery and healing. We share them on Thursdays to help promote the individual voice of survivorship, healing, and transformation that all survivors go through. 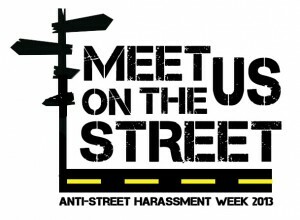 This year, the Pixel Project began a collaboration with Stop Street Harassment to contribute to and support the annual International Anti-Street Harassment Week held in April by featuring the best anti-street harassment stories throughout the week. We hope that this series gives you some great ideas for how to prevent, stop and intervene in street harassment in your communities. This is the year that the Pixel Project began it’s first collaborations with technology partners. In April, during Sexual Assault Awareness Month, we started our partnership with two Smartphone safety app creators – the award-winning Circle of 6 and the groundbreaking Sweden-based P.F.O. 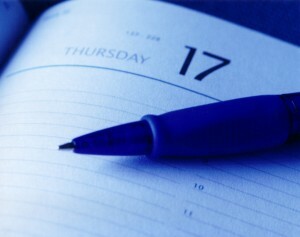 Blog Article Selection #9: 30 for 30 Father’s Day Campaign. 2013 was our second year curating a blogging “marathon” of 30 fathers from around the world to share about the joys of being a dad and how dads can help prevent VAW in positive ways. We received responses from men all over the world, including India, the US, Nigeria, Kenya, the UK, Malaysia, Canada and Zimbabwe! The Pixel Project continues with its focus to enter collaborations with Technology partners. Microsoft will be contributing their world-class technology expertise, tools and development support to The Pixel Project’s global campaigns and to create online apps and virtual tools that will help facilitate social media campaigns, virtual communities and online fundraising initiatives. Microsoft employees also took an active role in helping raise awareness about VAW by participating in various Pixel Project activities including the Paint It Purple campaign for Domestic Violence Awareness Month, and the “30 For 30” Father’s Day blogging campaign celebrating fathers as male role models. Child and Forced Marriage has received a greater focus in the news this past year. Marrying children and forcing young women into arranged marriages is still prevalent in many cultures. 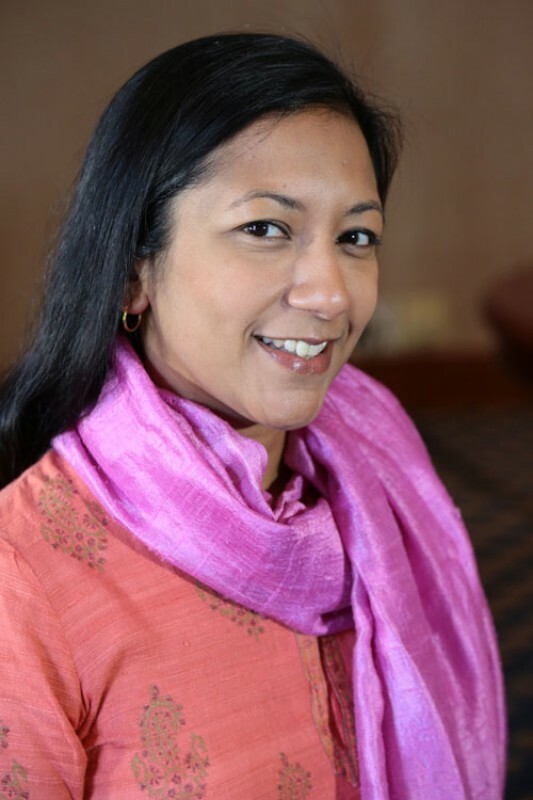 This year, we featured Lakshmi Sundaram, a Global Coordinator of Girls, Not Brides founded by The Elders, a group of independent global leaders who use their collective experience and influence for peace, justice, and human rights worldwide. Lakshmi works with the group to bring the issue of child marriage to global attention and to be more effective in addressing the problem. Deeyah, is a multi-talented and critically acclaimed music producer, composer, Emmy and Peabody award-winning documentary film director and human rights activist. The Pixel Project highlighted her for her her outspoken support of women’s rights, freedom of expression and peace; including her documentary about Honour Killing, ‘Banaz: A Love Story’. Blog Article Selection #13: Inspirational Interview – Chris Johnson – A Sports Celebrity focused on the power of bystanders to speak out against violence. Chris Johnson, a major player with the Baltimore Ravens, has come forth to utilize his celebrity status to step up and speak out to end violence against women and girls. He realised that with his celebrity status and role as a sports mentor, he can lend leadership to the cause to end violence against women. His goal is be a role model to men and boys to not abuse women and to not tolerate abuse and disrespectful comments toward women. This was our second year for our Paint It Purple photo-blogging campaign in through our Facebook page in which we raise awareness of the fact that many women stay in abusive relationships for fear of abandoning a pet who might also be suffering at the hands of an abuser. 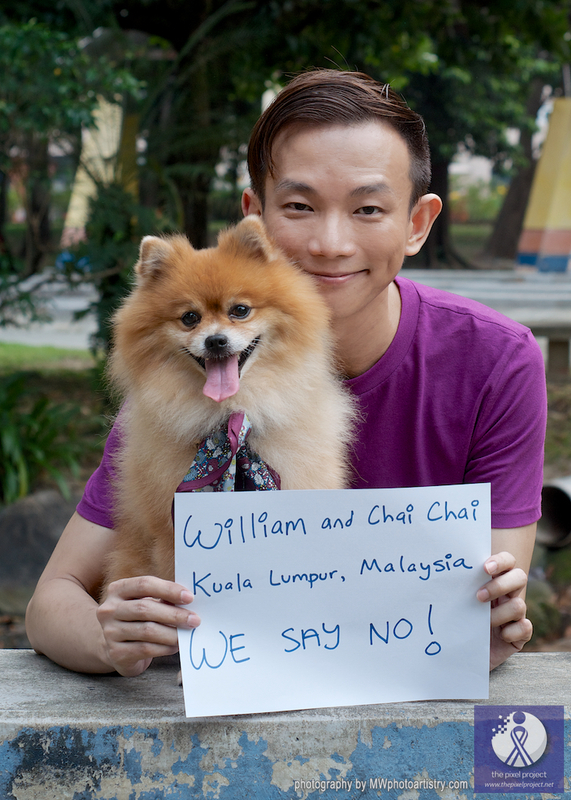 This campaign invites people to submit photos of themselves and their pets to say ‘no’ to VAW. The inspiration for producing the mini documentary for the Inspirational Interview series came from The Pixel Project’s long-time writer and interviewer, Angelique Mulholland. Ms. Mulholland has a particular interest in efforts to end FGM in the UK and has previously interviewed Muna Hassan from Integrate Bristol for The Pixel Project. The documentary is aimed at raising awareness about what FGM is, how this form of VAW is being tackled in the UK and ideas for preventing, detecting and stopping FGM in the country. Our e-News Digest has been a long-standing element of our blog to report on the latest and most relevant news related to violence against women. Our researchers scan news from all over the world to highlight new programmes implemented, the efforts of activists and their unique response to end violence against women and girls in their communities. By reporting on the latest news in one place, we aim to keep everyone updated about progress being made in the global movement to stop violence against women.